Between June and October 2016, SOILS established micro-gardens in 6 refugee camps in the Bekaa region as part of a bigger food security project by Mercy Corps. 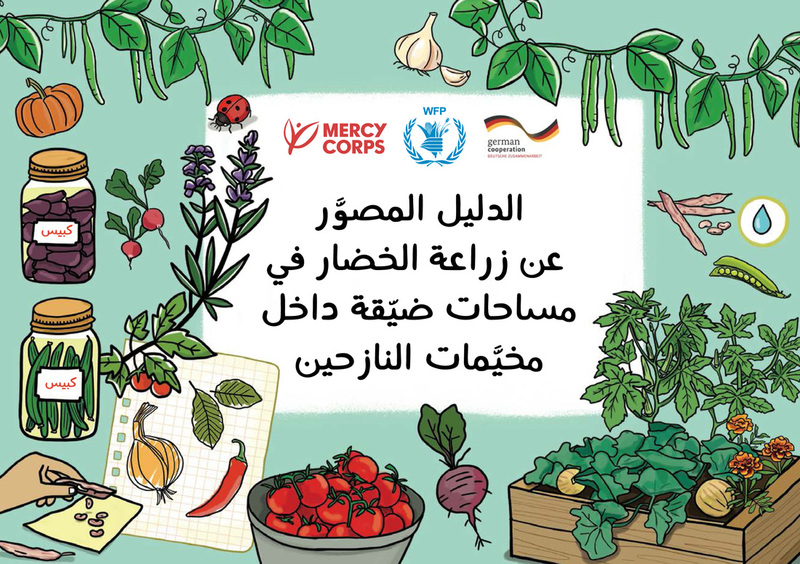 In order to help the trainees retain what they learned and make the information also available to other refugees in Lebanon or elsewhere, we complied our experience in an illustrated manual detailing which crops to plant for the climate and conditions in the camps. The manual was distributed to the trainees in the camps. Click on the link in the column on the right to read the manual online. As part of the Mercy Corps Fostering Self-Reliance for Displaced Syrians and Host Communities in South Lebanon (FORDS) project, SOILS delivered a sustainable agriculture course for farmers in the villages of Qsaybe and Braikeeh (Nabatieh caza - South Lebanon), and follow up on the implementation of sustainable practices. We put together a team of experts to design and deliver the course, as well as produce a manual in Arabic to be distributed to over 400 farmers all over South Lebanon. We are pleased to offer an electronic version of this manual for free to be used for educational purposes (provided no modification is done to it). Click on the link in the right column to read or download a free copy.